One member of each pair of incubating laughing gulls at 9 nests was trapped, orally dosed with either 6 mg/kg parathion in corn oil or corn oil alone, and marked about the neck with red dye. Each nest was marked with a numbered stake and the treatment was recorded. 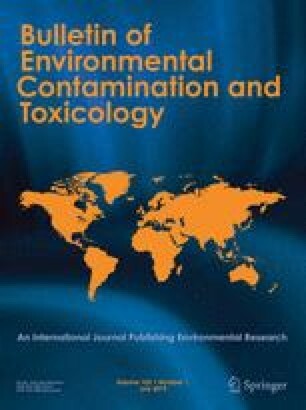 A pilot study with captive laughing gulls had determined the proper dosage of parathion that would significantly inhibit their brain AChE activity (about 50% of normal) without overt signs of poisoning. After dosing, birds were released and the nests were observed for 21/2 days from a blind on the nesting island. The activities of the birds at each marked nest were recorded at 10-minute intervals. Results indicated that on the day of treatment there was no difference (P>0.05, Chi-square test) in the proportion of time spent on the nest between treated and control birds. However, birds dosed with 6 mg/kg parathion spent significantly less time incubating on days 2 and 3 than did birds receiving only corn oil. By noon on the third day, sharing of nest duties between pair members in the treated group had approached normal, indicating recovery from parathion intoxication. These findings suggest that sublethal exposure of nesting birds to an organophosphate (OP) insecticide, such as parathion, may result in decreased nest attentiveness, thereby making the clutch more susceptible to predation or egg failure. Behavioral changes caused by sublethal OP exposure could be especially detrimental in avian species where only one pair member incubates or where both members are exposed in species sharing nest duties.